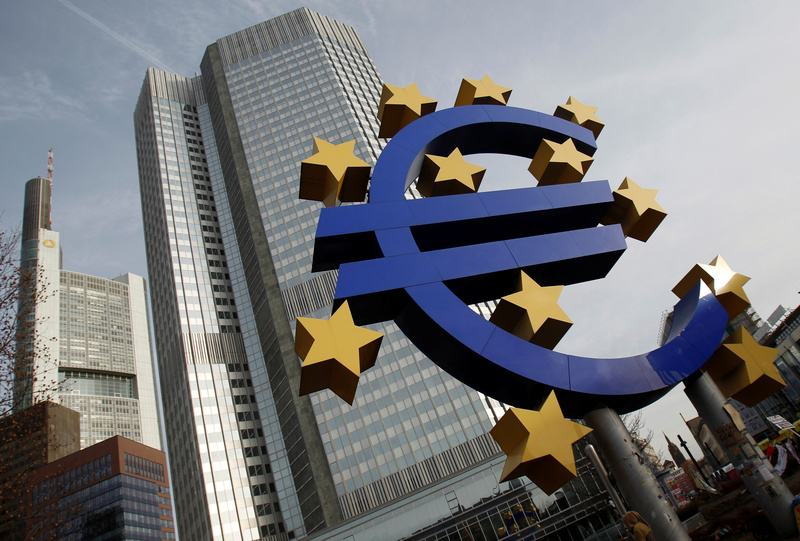 A sculpture showing the Euro currency sign is seen in front of the European Central Bank (ECB) headquarters in Frankfurt, December 8, 2011. Andrea Enria, the head of the European Bank Authority, has applied to become the next chief of the European Central Bank's banking watchdog, the Single Supervisory Mechanism, according to a statement from the EBA quoted by Reuters on Sept. 3. The ECB is looking for candidates to replace the current chair, Daniele Nouy, when her term expires at the end of this year. Irish Central Bank Deputy Governor Sharon Donnery became the first person last month to publicly put her name forward for the post. Media reports in Italy said ECB supervisor Ignazio Angeloni was also expected to apply, according to Reuters, but his candidacy has not yet been confirmed. The deadline for applications was Aug. 24.